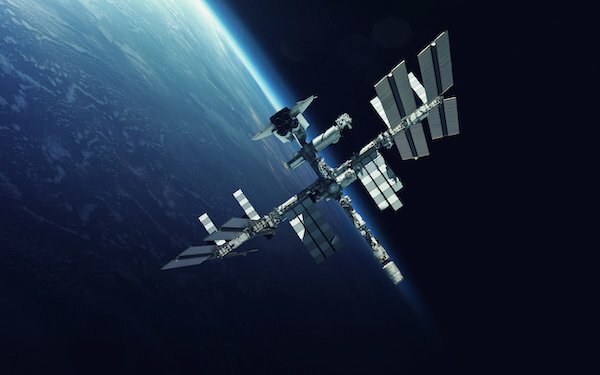 A team of researchers at Athlone Institute of Technology have been selected by the European Space Agency (ESA) to develop the world’s first large-scale, zero-gravity 3D printing machine for use on board the International Space Station as part of a wider European consortium led by OHB, a leading German Space and Technology Group. Named Project Imperial, the consortium will be draw on the expert knowledge of Dr Sean Lyons, Dean of Faculty of Engineering and Informatics, Dr Declan Devine, Director of the Materials Research Institute and Dr Ian Major, Principal Investigator at the Materials Research Institute, in the areas of additive manufacturing, advanced polymer materials and creating composites for challenging environments. The researchers will use high-strength, functional thermoplastics to develop and deploy a 3D printer capable of creating complex engineering structures larger than itself. “Traditionally, 3D printers are based around simple materials and applications. They might look the part but they’re not hard or strong enough to be fully functional. Using cutting-edge material science, we’re going to design components that can be modified or configured for printing in zero gravity conditions on board the International Space Station,” Dr Sean Lyons explained. Additionally, the Athlone IT team will be looking at other applications for this technology, such as areas where printing in zero gravity gives benefit to the material properties that might be useful on earth. “Some cell scaffolds could be printed in a zero-gravity environment and then brought back to earth and implanted into a human. They would perform better than they would if they were printed under gravity constraints on earth. There are loads of potential applications for this,” the Dean of Faculty of Engineering and Informatics enthused. Project Imperial is scheduled to run for two years – with the payload deployment expected by 2021. The 3D printed parts produced by this new technology will demonstrate the potential for extra-terrestrial manufacturing, enabling new maintenance and life support strategies for human space flight. Athlone IT will also be working with other consortium members, including German aerospace company Sonaca Group and BEEVERYCREATIVE, a Portuguese 3D printer provider. Students, are you interested in pursuing a career in advanced technologies and materials? Check out our suite of programmes, including our Bachelor of Engineering (Hons) in Polymer and Mechanical Engineering, our Bachelor of Engineering in Mechatronics and our Special Purpose Award in Robotics and Automation (Springboard+). Each of these programmes produces highly skilled, sought after graduates. Awarded Sunday Times Institute of Technology of the Year 2018, Athlone Institute of Technology is currently first nationally of all HEIs in the Irish league table for student satisfaction and first across the technological higher education sector for research.